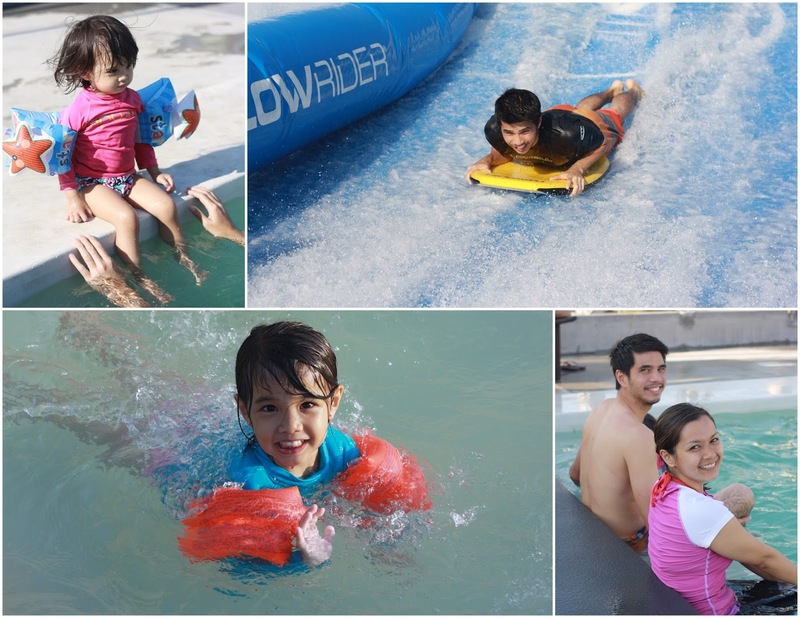 And if you've never been here, it would be good to know that besides body boarding and flow boarding fun, you can take a dip in the swimming pools. Food and drinks are also available on the menu so hunger and thirst won't be an issue haha! I had my post-birthday celebration here in the beginning of summer! Thanks to our friend Bing Avendano for preparing the yummiest food! We would have gone hungry if not for her hahaha! 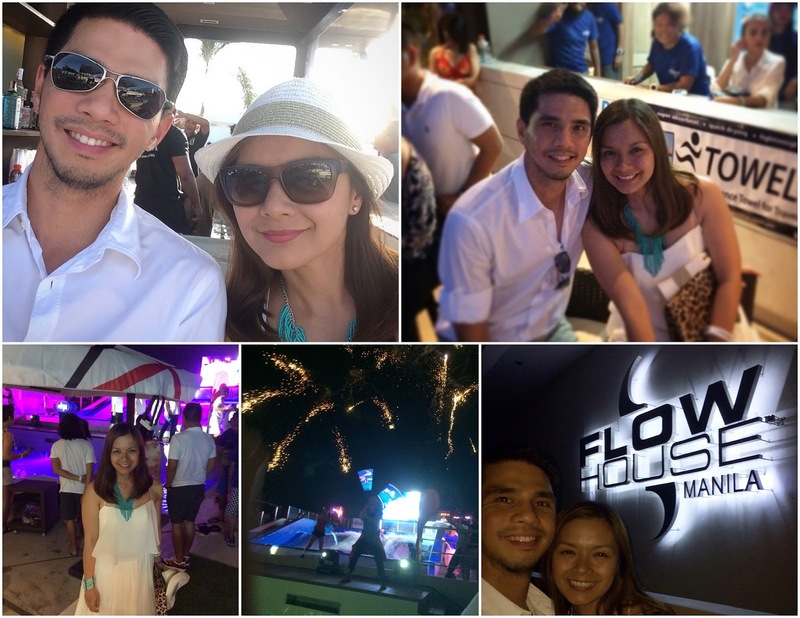 Here are photos of me and my husband at the exclusive media launch of Flow House Manila last March. Healthy drinks and frozen ones are also currently available at the bar. 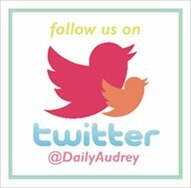 Here's Audrey accompanying me on another one of my site meetings. Natalie was busy with the mango shake so she didn't join the pic haha. 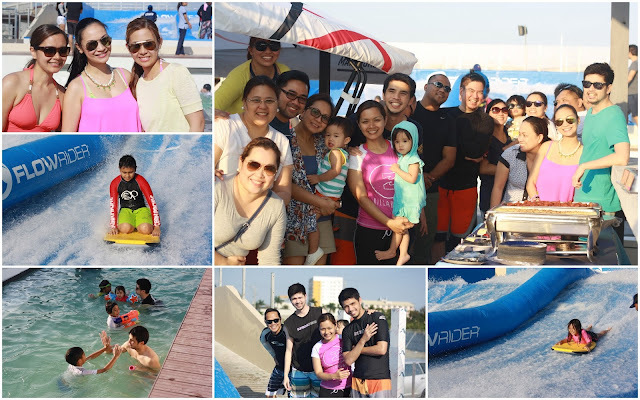 It's also best to reserve a slot if you plan to ride. Contact them at 0998 554 5035.